The author of a Boulder Daily Camera letter to the editor that called for violent attacks on oil and natural gas workers and facilities is standing by his controversial comments, telling one media outlet yesterday that he “wouldn’t have a problem” with the murder of industry workers. Andrew J. O’Connor “unapologetically reiterated his hardline stance on fracking” in a phone interview with Colorado Politics. 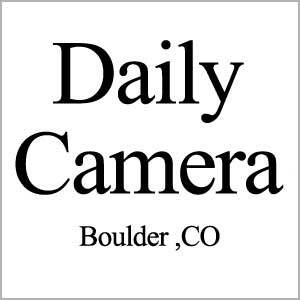 The Daily Camera published O’Connor’s letter to the editor last week that encouraged state residents to act violently against oil and natural gas workers and facilities. “If the oil and gas industry puts fracking wells in our neighborhoods, threatening our lives and our children’s lives, then don’t we have a moral responsibility to blow up wells and eliminate fracking and workers?” O’Connor wrote in the letter published April 19. The letter was edited the following day to read “don’t we have a moral responsibility to take action to dissuade frackers from operating here?” The edited letter still contains violent rhetoric, claims “fracking equals murder,” and says using violence against the oil and gas industry would be the “intelligent” move for Colorado residents. O’Connor “is not threatening violence himself or calling on anyone to engage in it,” Colorado Politics wrote. O’Connor’s comments have triggered enhanced security measures at state meetings concerning oil and natural gas development, including an upcoming meeting regarding a ballot measure O’Connor is driving to double state taxes on oil and natural gas production. “The Secretary of State is being ridiculous drama queens,” O’Connor responded. “Colorado is already a leader — let’s be a leader in how we talk about oil and gas development as well,” Haley continued. Daily Camera Executive Editor Kevin Kaufman defended publishing the letter by arguing that environmental activists could justify committing violent actions the same way President Trump justified his decision to strike a Syrian airbase in response to a chemical weapons attack that killed civilians.